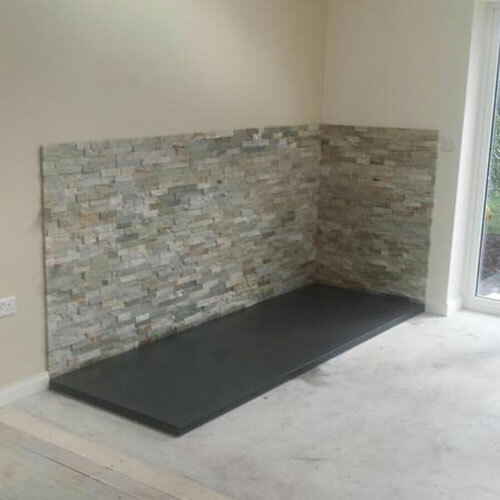 Home / Projects / Stove Fitters Paignton Latest Projects NEW! 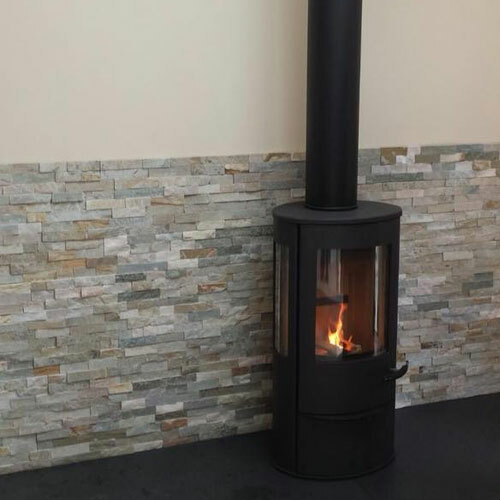 Lotus Liva 5G 5kw Wood only stove installed with 6” Professional XQ 150mm stainless steel twin wall flue system, powder coated black. Placed on a 40mm thick slate hearth and wall finished off with split faced tiles showing this stunning fire off. Stove fitted to a home near Paignton. Interested in starting a project similar to this one? If this is a similar stove to the one you're look for, why not speak to our friendly team today and find out more about what we can offer you. Throughout Devon including Paignton, Kingskerswell, Torquay, Newton Abbot and many other areas, our stove fitters work to provide you with the very best services. 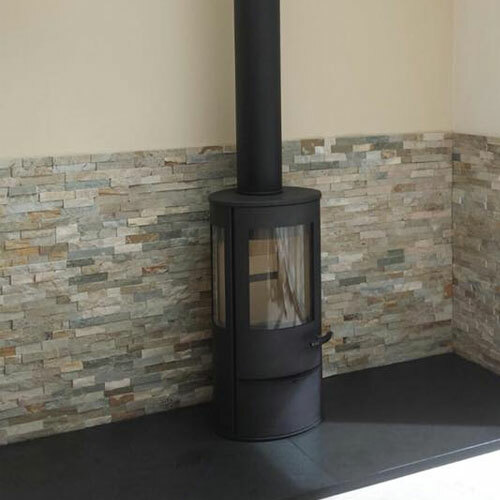 All our stove fitters are fully trained and approved to provide you with the perfect services, whether you're simply looking to have a stove installed or require brickwork and hearth placement, our team is equipped and trained to do the job correctly. You could also visit our stove showroom is Dawlish, just a short drive from Paignton to see our stove range first-hand.